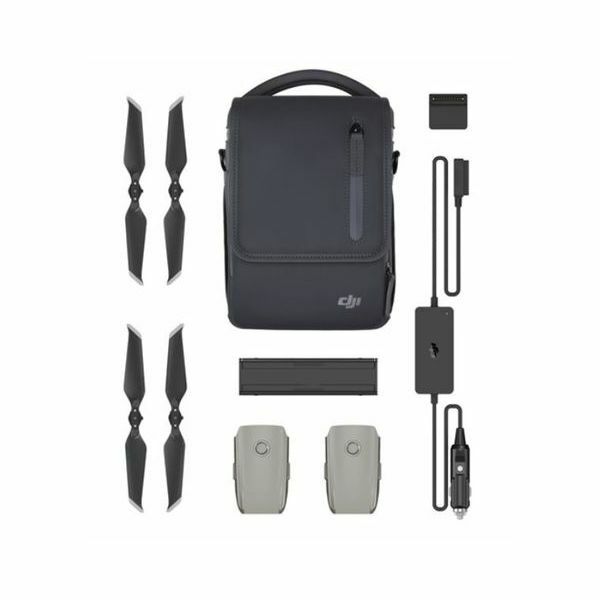 Mavic 2 Enterprise Fly More Kit from DJI includes a host of additional accessories for your Mavic 2 Enterprise drone. Mavic 2 Enterprise Fly More Kit from DJI includes a host of additional accessories for your Mavic 2 Enterprise drone. This kit features two self-heating flight batteries, a cable to turn them into portable power banks, two pair of low-noise propellers, chargers, and a shoulder bag to carry it all in. With these items at your disposal, you can extend the amount of time you can spend filming on location, even in frigid temperatures as low as 14°F.